DEKRA is one of the world’s leading expert organizations, offering innovative professional services in the fields of vehicle inspection, expert appraisals, industrial product testing and certifications, management system certifications, and much more. DEKRA has a strong history, first founded in 1925, and has grown to over 30,000 employees in 50 countries around the globe. In North America, DEKRA employs 450 personnel and growing plus an expansive network of independent vehicle inspectors. Our commitment to provide exceptional service to our customers and to provide value beyond a seal of certification has fueled our growth and expansion in market share in the U.S., Canada, and Mexico. 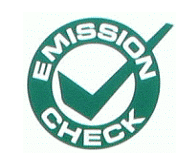 DEKRA North America provides emissions & safety inspections to vehicle owners in California, Georgia, North Carolina, and Texas and provides a broad variety of business services for Automotive and Industrial industries. DEKRA North America strives to be your first choice for new and existing global regulatory, environmental, governmental, and safety demands. Our commitment to excellence goes beyond a job well done to a passion to make the world a safer place. Learn more about how we keep you on the safe side.